Olive Garden: Unlimited Classic Lunch Combo $5 W/ Coupon Until 4pm Through 3/6! Olive Garden is offering their Unlimited Classic Lunch Combo for only $5 when you sign up for a coupon. Valid at participating locations. 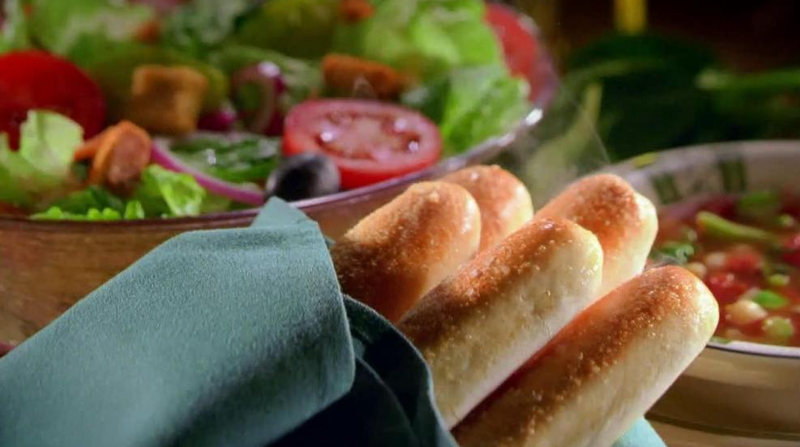 The Unlimited Classic Lunch Combo includes unlimited Classic Soup, Salad and Breadsticks Lunch until 4pm on each day through 3/6/2015. One coupon per person, per visit.